The Department of Marketing is driven by creativity and curiosity, and advances both fundamental (i.e., research) and applied (i.e., education) knowledge to fulfill our social, cultural, and economic commitments to our stakeholders. 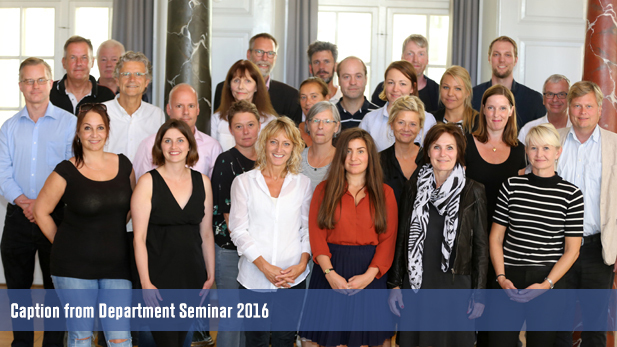 Based in architecturally beautiful buildings in central Copenhagen, the Department of Marketing is a leading provider of excellent research-based education. This is an exciting time for us, as we are celebrating our 100th anniversary. Our newly revised strategy is unashamedly ambitious. Our goal is to be the undisputed leader in marketing education in Scandinavia and a leading marketing department on a global level, held in high esteem in terms of our research and education. Our mission is to deliver excellent research-led education to a world-wide audience at all levels (graduate, post-graduate, and executive). Such efforts will benefit the job market in Denmark, as well as Copenhagen Business School, whose graduates will be highly attractive because they have learned the most up-to-date research and embody independent, critical thinkers who can apply this research to practical settings. Faculty members are committed to rigorous, theory-driven, empirical research and theory development—outcomes that are central goals for any reputed business school. Our research focuses on marketing, yet we draw on other academic disciplines to the extent that they improve the quality of our marketing research; we accordingly publish in both marketing and other relevant journals. Through our research-based teaching, we contribute across a palette of courses and programs in the Business School.